As I explained in a previous post: it’s not always dementia but often it is. And unless an older person has done a good job planning ahead, it can be very hard and messy for others to intervene as needed. But hopefully, that’s not yet your situation. In which case, you might be wondering: Given that it’s so common for aging adults to eventually start slipping mentally, what kind of planning should older adults and families do to avoid this kind of situation? I’ve done some research on this question, and here’s what I found out. One of the simplest — and often less expensive — smart planning approaches is for a senior to complete a general durable power of attorney (POA) document. Especially if the powers granted are broad — which they often are — a POA can enable the designated person (known as the “agent”) to step in and assist with finances, housing, safety, and anything else covered by the POA . A durable POA allows an agent to take action once the older person is “incapacitated.” In California, such POAs can be used to move a person with dementia to a different living arrangement. Now, the durable power of attorney approach isn’t perfect. In fact, I’ve occasionally encountered situations in which different doctors had different opinions on whether an older person was incapacitated. This troubles me, because agents should really only be stepping in and overriding older adults if we’re all sure they’ve lost capacity and are making decisions that don’t serve their overall goals, or are hazardous to others. Still, a general durable POA is an excellent approach to consider. But I would recommend you pay special attention to the language used, in order to avoid pitfalls related to determining incapacity. Note that POAs are governed by state laws, so the details can vary from state to state. But the general principles are likely to be similar throughout the country. In this post, I’ll focus on California, since this is where I live and practice. If you — or your older relative — don’t live in California, you’ll need to look for specifics for your own state. 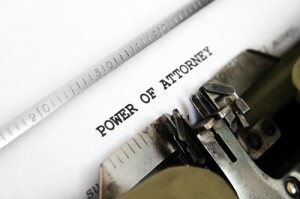 A power of attorney document essentially allows a person (known as “the principal”) to give someone else (“the agent”, also known as “attorney-in-fact”) the ability to act on the person’s behalf. The principal needs to be of “sound mind” when signing the form. Whether the agent’s powers remain effective even if the principal becomes disabled or incapacitated. In California and in many other states, there are POA forms specific to healthcare, and medical decisions are excluded from the general durable POAs. This means you can designate one person to be your agent for health decisions, and another for financial or legal decisions. Now, experts often advise older adults to complete both a durable financial POA and a healthcare POA. However, when I looked into this further, I discovered that in California, financial powers are usually included within a general durable power of attorney form. Here is one commonly used version of the California General Durable Power of Attorney form. A person using this form can give the agent all the powers listed, or can just specify a few of them. But it’s important to realize that as long as the form complies with the relevant California probate code, the general DPOA form can be written to include more specifics about the agent having the power to move the principal to a new residence and to make personal care decisions. How are older adults deemed incapacitated? A durable power of attorney document allows the agent to make decisions either right away, or when the principal is “incapacitated.” In the documents I’ve reviewed, the principal usually has to specify whether the agent has authority immediately, or whether the authority should “spring” into action upon incapacity. But who determines incapacity, and how? Obviously, this should be a crucial issue for those “springing” POA documents that only allow the agent to take over if the older person is incapacitated. But even for a POA that gives immediate authority to the agent, the question of defining incapacity can be important. That’s because if the principal and agent ever disagree, the principal gets to override the agent — unless the principal is incapacitated. Some POA forms say nothing about how to determine the principal is incapacitated. A few years ago, I consulted on an older woman who had been diagnosed with “severe dementia” based on a neuropsychological evaluation conducted during a hospital stay. Based on this, the agent took over and moved the older woman to a facility. The problem was that when I met the older person three months later, her mental state actually seemed quite good. Now, she did make several errors on the MOCA test I administered, and likely would struggle to manage finances correctly. But she certainly was much better than described. Which is not surprising actually, because we know that many aging adults get mentally much worse in the hospital, due to delirium. And we know that it can take months for delirium to resolve; I once had a patient slowly get better over a whole year. Sadly, this older lady was pretty unhappy about having been moved to a facility. But since she’d been determined to be “incapacitated,” her agent was now the one making the decisions. An added problem: prior to hospitalization, she hadn’t had a regular primary care doctor, and she didn’t have any close family. So there was very little information on how her mental state had been prior to hospitalization. Which meant it was harder to determine whether she had dementia, or how advanced it really was. Capacity can be temporarily impaired or permanently impaired. POA forms usually don’t address this. It would be unfortunate for a person to permanently lose their rights, if later their capacity might improve. Some people don’t have a primary care doctor. And an “attending physician” basically means a doctor who has completed residency; it could even be the hospital attending who just met the older person in the hospital. POA forms seem to assume the principal has a doctor who knows him or her well, but that’s a faulty assumption. In summary, many POA forms are flawed in that the criteria for determining incapacity are either unspecified, hard to apply, or could result in an older adult permanently losing rights prematurely. Given the pitfalls of general durable POA forms, some people might conclude they are better off not giving anyone power of attorney, for fear that they’ll lose their rights inappropriately. But this would be a mistake. Despite the potential for a POA to be misused, things almost always go worse for aging adults when no POA has been appointed. That because in the absence of a POA, a family may need to go to court for conservatorship in order to take over the affairs of an older loved one who has developed Alzheimer’s, or another form of incapacity. That is a time-consuming and expensive process, plus it usually means that whoever becomes conservator will have to provide regular reports to the court. So provided an older person still has capacity to complete legal paperwork and make major decisions, it’s better to complete paperwork to allow someone else to take over affairs without a complex court proceeding. A general durable POA can enable this. Reminder: I am not an attorney. But given the problems I’ve seen people encounter with their POA documents, I would really recommend that any general durable POA document you — or your family member — completes include language specifying how incapacity is determined. My feeling is that the specifications should exclude delirium, and should provide for the possibility that the incapacity might get better. Alternatively, the language needs to do a better job of making physicians state that the principal has permanent and irreversible changes to the thinking abilities, as demonstrated by the problems not improving over at least 3 months, or some such. I also recommend reading this April 2018 legal brief on preventing POA abuse: Drafting Advance Planning Documents to Reduce the Risk of Abuse or Exploitation. A general durable power of attorney can give the agent pretty broad powers to manage an older person’s money, assets, support services, and even living situation, once the principal (meaning, the older adult) has been “incapacitated.” This means a general durable POA is a good way to plan for the possibility that an aging adult could become mentally impaired. Many power of attorney documents don’t do a good job of defining what exactly constitutes “incapacitated,” or who determines “incapacity” and what evidence they should review in doing so. Older adults can reduce the chance of being inappropriately deemed “incapacitated” by making sure their general durable power of attorney includes language specifying how incapacity is to be determined. I would recommend language that helps the agent distinguish between temporary and permanent incapacity. I also believe attesting physicians should have to provide some evidence for their conclusion that a senior is permanently incapacitated. Older adults should avoid having no general or financial durable power of attorney. Despite the possibility that a person may inappropriately be deemed incapacitated — or that the agent may not make appropriate choices — it is probably riskier overall to have no mechanism allowing others to step in. Unfortunately, I didn’t come across any truly terrific resources that address the issues above, and are written for the public. Most of what is online is pretty superficial. But here are a few links that I found especially useful. Now, can you recommend any resources to help aging adults create better durable powers of attorney? Please share below! You can also learn more about capacity should be evaluated in this article: Incompetence & Losing Capacity: Answers to 7 FAQs. You can also hear elderlaw attorney Harry Margolis talk with me about powers of attorney in this podcast episode. I’ve been advised by my trust attorney to explore the California Medical Association versions of an Advance Health Care Directive & Physician Orders for Life Sustaining Treatment (POLST). 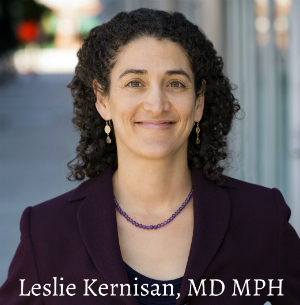 One reason is due to the familiarity by California physicians that would avoid confusion on how to handle the directives. I haven’t made a decision yet, but it looks like a good resource. Hm, I’ve seen lots of problems related to healthcare directives but usually the problem is not that doctors aren’t familiar with it. It’s more that the statements in the directive don’t provide much guidance for many common types of health crises or health decisions. I’m not familiar with the CMA’s directive and it’s not online for free. My guess is that it looks similar to the pretty typical directive available here on the CA attorney general’s site. It’s not very sophisticated and doesn’t provide guidance for many of the dilemmas that do come up. I prefer the easy-to-read directive created by my colleague Dr. Rebecca Sudore, who is a geriatrician who studies advance care planning. It is available (free) on the Institute for Healthcare Advancement website here. I also have some other posts on this site related to better planning for health crises, detailing some common pitfalls to try to avoid. You can find them by searching the site or by looking under the Popular Topics tab. Hi Leslie, Thanks for your insightful writings. I’d love to hear your reflections on my biggest challenge these days with my elderly parents: what is my job? How do I know when to intervene and when not to? They are competent, but that doesn’t mean they haven’t indicated interest in scams in the past, or couldn’t simply make bad financial decisions. It’s hard not to be hypervigilant and nosy out of protectiveness (for myself as well as them). And how do you tell when they are no longer competent without allowing a catastrophe to occur? I don’t see much written about this dilemma, though I’m sure I’m not the only one to experience it. If you know of any good resources I’d love to know about them. Those are excellent questions: what IS your job, and when should you intervene? There are many ways to answer this question; at some point I may try to write a post with a more thorough answer. But here a few brief thoughts in response. First of all, one way to approach this is to ask your parents the question. What do THEY think your job is, or should be, when it comes to assisting them? And when do they think you should intervene? A research study found that many older adults were aware of potential “advance life events” such as hospitalization, developing dementia, or otherwise becoming unable to remain at home independently. The same study found that older adults were expecting their adult children to assist, but hadn’t actually discussed this with them, in part because most people are hoping these won’t happen to them. But hope is not a plan. So in many cases, it’s a good idea for adult children to gently prod their parents into spelling out just how their adult children should help, if/when the time comes. A complementary approach is to ask them what their goals are for their last years, and how they see you fitting in with their achieving those goals. For many older adults, common goals include to remain as independent as possible, financially stable, in good enough health, and able to live at home for as long as possible. Once your parents have articulated goals, any intervention or job you think you should do should be framed as something that helps them reach those goals. (If it doesn’t help them with their goals, you have to seriously reconsider whether you should be doing it.) They will probably have to make tradeoffs. People want to remain independent but often the only way to remain at home for longer is to accept some assistance. Likewise, in later years, a very good way to take care of oneself financially is to allow a trusted person to regularly review or even manage one’s finances. Now if they start to slip mentally, then you will have more grounds for intervening. This is especially true if you think something substantial is at stake, i.e. a serious risk to their health or safety or finances. Last but not least, in the best case scenario, older parents talk to their adult children well ahead of time, about under what circumstances to intervene and how. So if your parents are mentally ok, you could try bringing this up. Thanks for this very thought-provoking question. I have many more thoughts as this is a very rich and complicated topic, but those will have to wait for another article. Hello Leslie, Thank you for your informative blog. My mother has progressing dementia and I feel it’s now time to activate her power of attorney which she has me as the ageny. I am going to take her to the doctor and have him sign an “Affidavit of medical doctor as to incapacity of person in order for power of attorney to become effective”. Is it required to be notorized for health and financial decisions? I am in California. I’m glad you find the article helpful. How lucky that your mother gave you power of attorney beforehand! I’m not sure of the exact answers to your questions. But as I have practiced in California for a long time, I will share my own experience. I have at times been asked to provide a written statement attesting to a patient’s incapacity. But no one has ever required me to have this document notarized. I have also read many statements written by other doctors, and can’t recall any of them being notarized. So it’s hard to imagine this being a requirement, especially since getting something notarized would require time and expense on the doctor’s part. Now, if you are going to start taking action as your mother’s agent, the real question is what proof of incapacity will others require, to allow you to act. So for instance, what proof does her bank need? What proof would an assisted-living facility require? And so forth. I want to talked about my HUSBAND’S POA brother in law. My husband got confusion and Mental status changed since last year Father’s day and still he do. More he was in hospital 22 days and nursing home 10 days, his younger brother made my husband signed in Durable POA. (because the date of signed was… that time my husband was in nursing home and he has confusion) My husband said he never did that. Is brother in law legal? Or is it Elder abuse? My understanding is that for a power of attorney document to be legally valid, the person signing it has to have capacity at the time he or she signs. Having capacity means that the person, in that moment, has the mental abilities to understand what they are signing or the decision they are making; I explain capacity in further detail here: Incompetence & Losing Capacity: Answers to 7 FAQs. In many states, a durable power of attorney document has to be notarized or witnessed. If you think your husband did not have capacity when he signed the document, then it may not be valid. However, you may need to get an attorney to help you get it invalidated, especially if your brother in law has been acting as your husband’s agent. State laws will generally determine whether your relative’s actions were legal or not. I would recommend you learn more about capacity, consent, and the concept of undue influence, see here: Capacity, consent & undue influence. You can also call your local Area Agency on Aging, to find local resources that might help you. Good luck! What do you think of this idea for dealing with a doctor who doesn’t know me having to make a decision about whether I am incapacitated? I give friend Amy access to a signed Durable Power of Attorney naming friend Betty (also an attorney who will be executor of my estate) as my agent. When long-time friend Amy determines that I am not making good decisions and that I might need protected from myself and might be incapacitated, friend Amy turns over the Durable Power of Attorney naming Betty as my agent to Betty, allowing Betty to now look after my affairs. It allows a friend, rather than a doctor to determine my competence, and it relieves Betty of any appearances that she is having me declared incapacitated for any sort of personal gain as she will be compensated as my agent. Hm, that’s an interesting idea. I would recommend discussing it with a qualified attorney, or another professional who can help you think through the pros and cons of this approach and other approaches. For instance, what if something happens to Amy, or she’s otherwise not able to play her role in enabling Betty to act?